Normally I blog new charms separately; especially when I'm introducing a new brand to Curling Stones, but you know what... sometimes it's just fun to rip the format up and do something a bit special! Ever since I was in my teens and once hitched a lift in a single decker bus, with a wood burning stove in the middle, chimney peaking out of the roof, a bed and sofa in the back, and a rocking chair for a passenger seat I've always dreamt of having a bus of my own. Roll forward more years than I care to mention (but it's er, a lot) and I've finally been able to realise that dream, and although she's as tall as that single decker was, and almost as wide (I now have to stick to those "any vehicle" lanes where there are restrictions), she's not quite as long (thankfully as I've no idea where I'd park her if she was) but at just under 18ft, she will do nicely for me and mine! I've also come to realise that I'm in need of access to a scrap yard, a bit more cash and a hotline to a decent mechanic! I should point out at this stage that I fell in love with her as soon as I saw the first photo, let alone that first glimpse as we drove hundreds of miles to see her, before I heard her deep rumble, battled with her non power "oh my god I'm driving a bus" steering and even when she broke down it didn't diminish, although I might have sworn a bit, after 3 times in 2 weeks. As a result I'm now on 1st name terms with the breakdown & recovery guys! Owning a bus is not a practical decision, it's definitely more a lifestyle thing and this bus is functioning as a camper... when she's behaving herself that is. Her colours are now purple and cream on the outside and green and warm wood tones on the inside! Since I published this post this morning, I've had a few requests across social media and on here to put pics up of our lovely bus. As she's rather distinctive looking (once seen never forgotten), I'd decided not to put pics on of our actual bus, but I do get that it's hard to just imagine what she's like, after all buses come in many shapes and sizes, so... I've come up with a solution!! I've found an original spec sheet of the same model, so you can see her shape and size and this was actually her original colour - Sunshine Yellow! The bus as a bus! 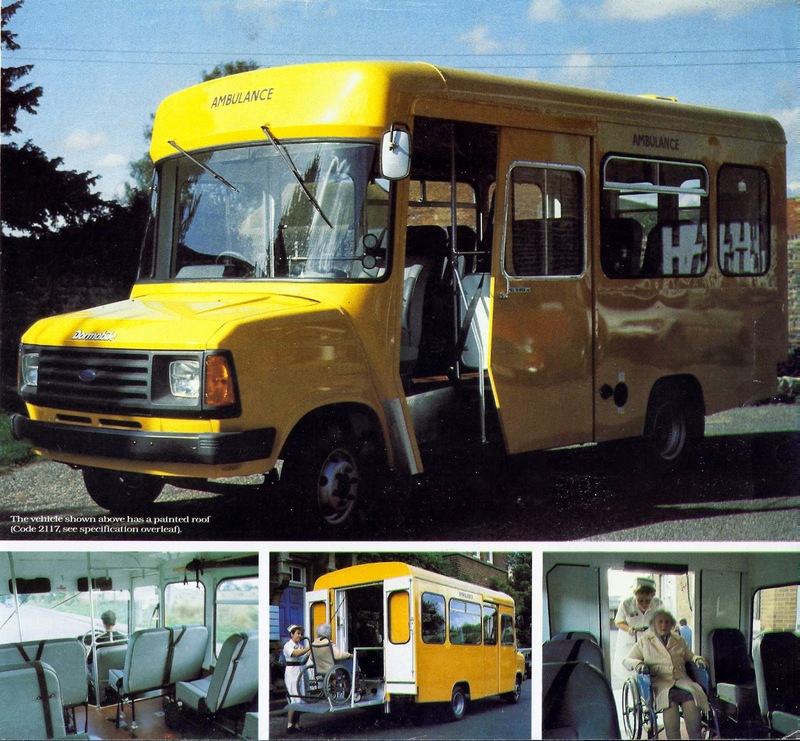 There are sliding driver and passenger front entry doors (great for driving on hot days with the doors open) and double doors on the rear, which when we're parked up we just sit with these open, the bus equivalent of French Doors! The original wheelchair lift has been taken off and any seats that nay have been in the back have been completely removed leaving a very large space that has been converted. Structure wise there is now a front driver and passenger cab which is screened off with a middle door into the back of the bus, but the outside is completely untouched so you still have that full on bus experience and all the windows still have the clear glass, so there's a lot of curtains or blinds to draw at night but the views are spectacular! The passenger carrying part of the bus was divided into a fully working kitchen area in the first part of the passenger area with a full sized cooker, sink, draining board and fridge. At the back is a rather large lounge by day and bedroom by night. There's a table that fits in the middle of the settees (which are long enough to lie down on with a good book) and at night these convert into one supersized king size bed spanning the width of the bus! There's also a fire for those colder nights (definitely not needed this week) and more storage than you can shake a stick at, both in the kitchen and the lounge. I wanted to pick up on her new colour scheme in my bracelet (not the Sunshine Yellow that she was), and I wanted it big and chunky, like the bus, and to try and convey some of my feelings and emotions about finally having a bus and this bus in particular... Perhaps a tall order but here goes the reasoning behind the choice of beads! I'll start with the silver and brass charms as the glass is mostly about her colour scheme. The brass is not to represent any rust, honest... although there is rust given she's almost 30 years young! I think this one is self explanatory - what you won't know is that I saw, and bought this charm on the very day that I bought my bus, and indeed I bought it whilst on the bus! It's also my very first Waxing Poetic Charm so it would have been a very special "first" charm in it's own right. Now, although I had to wait for it to be delivered, charm wise, it will always remind me of that first day and first night on the bus! Did you notice the cloud formation as the sun set was rather similar! This is a bead I've had on my wishlist since I first started collecting, over 3 years ago. It's only recently come into my possession and sums up the feeling I get when we're away in the bus. A favourite on my Fantasy Necklace but the first time I've worn this on a bracelet, I wanted to make a big heart gesture to try and convey just how much I love my bus! I've always liked this charm, but when Amanda released this in brass, this was a must and was ordered immediately! For my bus bracelet, this adds to my feeling that I really have been granted one of my big wishes! The tortoise is there to remind us that slow and steady is okay, although the tailback of drivers wherever we go may not agree, we are slightly more popular than a tractor! Lock with buds in this instance is in my mind "Lock with Bumps" to signify the bumps in the road, the bumpy start we've had with her and indeed a hair raising attempt at a bump start whilst being towed around a residential area one Sunday! Angles Tip is an old retired silver bead and represents some of the moving parts of the bus, particularly the alternator! I have a particularly purple version of this, but the reason I chose to include it is because it reminds me of oil and given I've spend a lot of time with my head under the bonnet, it seemed apt! This is one of the newish uniques and it found it's way into my bead box early on, it's the first time I've used this and given the amount of times I've been asked about festivals, or if I'm going to read my crystal ball in the back of my "Hippy Bus" I figured the pop culture symbol was perfect for this bracelet. I hope you like my bus bracelet, beads are listed below working from the Lock and travelling clockwise. Angles Tip, Black Silk, Green Python Unique, Purple Prism, Stopper. Well this is the first time I've ever made a bracelet for a vehicle; but then again I've never had a bus before! Have you ever made a bracelet for an unusual reason? Hit the comments and tell me all! Please post a pic of the bus! Those of us across the world can't picture it! I've now updated with how the bus would have looked when she was a working bus and also some pics of the inside as she is now. Yes! Picture of bus please! Love your bracelet combo for the bus. 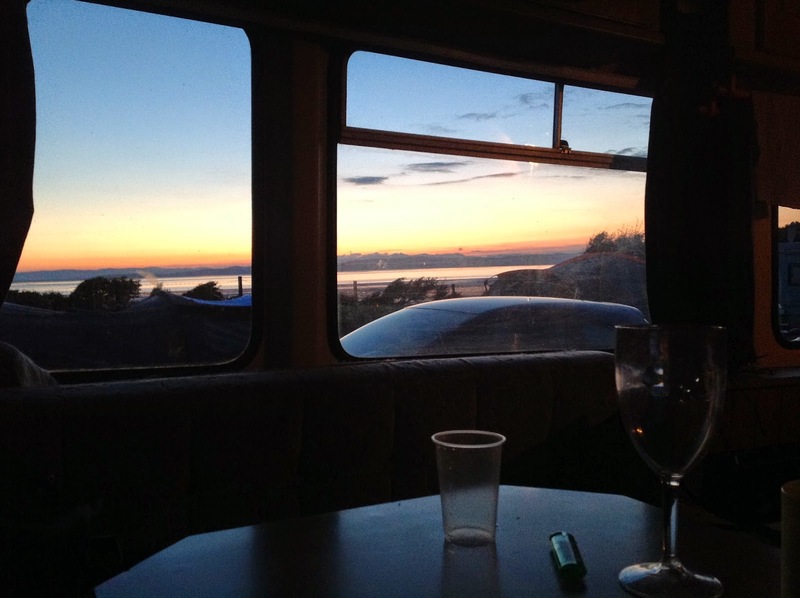 Is your bus a modern gypsy caravan? :) You should name her! Thanks, I love the bracelet and the bus so double happy for me! We have more engine and wiring work (and an everlasting cycle of welding) to do before we could even consider another colour scheme. I've always favoured the matt army green personally, still not sure which shade it is (there's a whole range of official army colours). Definitely not going back to the yellow though! We've been looking for a very long time, but we got a lot more serious in this last year, the price also had to be right as we had a limited budget. What helped us was visiting a motorhome style place and we literally sat in every van/bus/motohome they had, old, new, small, huge, with bathroom, without, fixed beds, rock'n'roll beds, every possible layout you could imagine. Do you have an idea of what you want, or are you still open to new possibilities? Yep the old "toilet/no toilet" debate... a debate we had and took both sides alternatively... we don't have one on board this bus... one home we looked at had an amazing bathroom!! 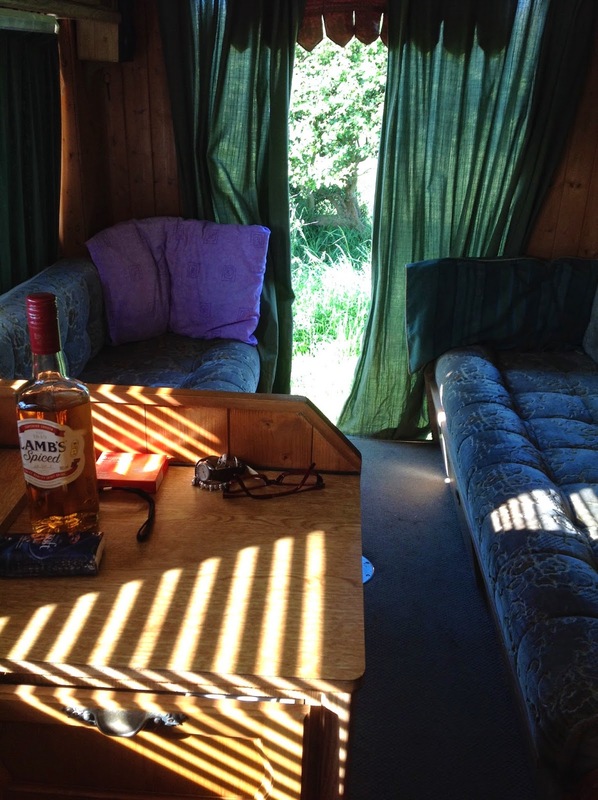 We've bought a portable one for when we go wild camping, but at the moment we are using places that have "facilities". One thing we forgot to take this weekend was insect repellant, we've all been eaten alive! Definitely won't forget it next time! !